SEEKING YOUR INDULGENCE, I want to tell a story about my own experiences. When I was in high school, now over fifty years ago, I would dream about my future. I had grand plans. I was going to be a brilliant military man and a world leader. Not only was I going to achieve these great heights, but my friends would also. After graduating I found that it was incumbent upon me to take control of my future. Before then my belief was that I would be so good at what I did that I would be noticed by the king makers and they would ask me to be a part of their inner circle. Sure, my thought was, everyone has to start at the bottom, but the bottom from where I was to start was very high up indeed. Well, as you might imagine, I did start at the bottom, the very bottom. Right out of high school I was hired to work on Saturdays in the advertising department of the local newspaper. The rest of the week I was a gardener at a nearby Naval base. The gardening job was one for which I was certainly ill-suited. So, I took the next logical step; I joined the U.S. Marine Corps. This is not me. I never got to wear a dress blue uniform. When I signed up to be a Marine, I had pictures of myself (in my mind’s eye) of a straight tall Marine in dress blues guarding an embassy in some exotic country. Instead, I found that my decision to join the Marine Corps was a step down (at first). Starting at the bottom is a reality in the Marine Corps boot camp. However, that career did progress fairly well. I completed the three years of service as a sergeant, and I had a truly great experience. I suppose what I am trying to arrange in my brain is what has happened over the sixty years since I was a senior in high school with all the grand plans. What didn’t happen was “they” did not notice that here was a good candidate for world leadership. “They” did not notice the special gifts and intelligence that was so obvious. Yet, something did happen that made more difference than being noticed by the movers, shakers, and doers of our society and civilization. I don’t think I believe in predestination. The Calvinist took the words of the apostle Paul when he spoke of the “elect” and decided that we are either predestined to salvation or not—we have no say in it and there is nothing we can do to overcome our predestined lot in eternity. That’s theological argument worthy of another time. 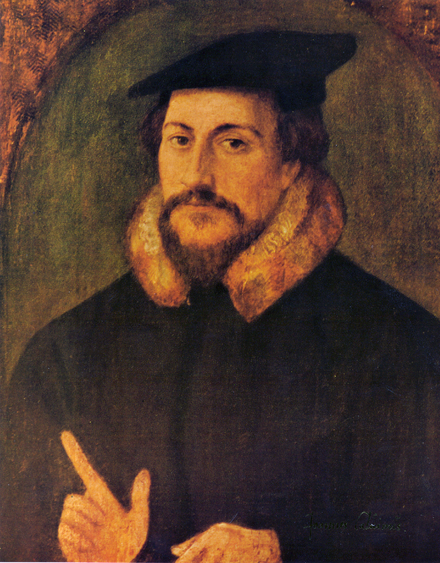 John Calvin the proponent of predestination. This portrait is believed to be by Holbein the Younger. Source: Wikipedia. Predestined can sometimes be thought of as pre-disposed. We are pre-disposed for certain things by the gene pool from which we spring. We are pre-disposed by what part of the social strata we are born into. We are pre-disposed by the general condition of our physical make up. All of the conditions of life pre-dispose us to certain outcomes, but we are not predestined to failure or to success. The basic issue for me was that I did not know how to enter into the level of or station of those who would be the “movers, shakers, and doers.” My family situation was that we were just plain simple people who strove mostly to get along. Because of that basic lack of knowledge and lack of connections, my belief was that if you work hard at it you would be noticed. Once noticed the people who make decisions about others will invite me into the inner circle. In review of that past, I believe I clung to those false notions for a long time. In fact, when I found myself failing, I blamed the people at the top. What I truly needed to do was to review what part I personally played in failure and the part did I play in success. In other words, self-critical analysis was needed. Several years ago, in middle age years, work and regular pay for work did not come my way. It was a time of serious self-pity and anger. Once I told a friend that I felt worthless. The friend was startled and asked, “Why?” My response was, “We are only as valuable as people are willing to pay us for our time. No one wanted to use my time and my talents.” The friend reassured me that I was not worthless, but just in the wrong place seeking the wrong thing. My task was to look for the right place to be and thing to do. A lack of self-knowledge and understanding was the barrier. look into one’s self and take responsibility for whom and what I am and who I am. If I expected to be noticed I would be waiting forever. 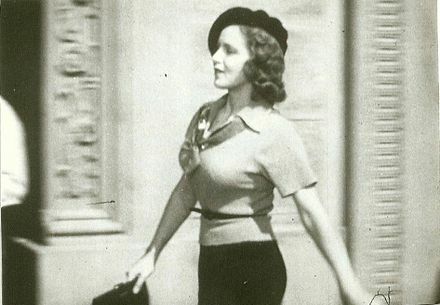 He added, “Only pretty young sweater girls get noticed, and that’s not always a good thing.”It was from that brief conversation I began to think more seriously about life and its potentials. It became less important that I get noticed than it was to find a way to be open and available to others ultimately seeking to meet the needs of others. Expecting to be noticed is no longer something I anticipate. In fact, I don’t expect many will even read this blog. However, for the few who may, my hope is that the words will help and meet a need. Dear Bill, I have noticed you for a long time and you have been an inspiration to me. I’m sure there are lots of others who would say the same!